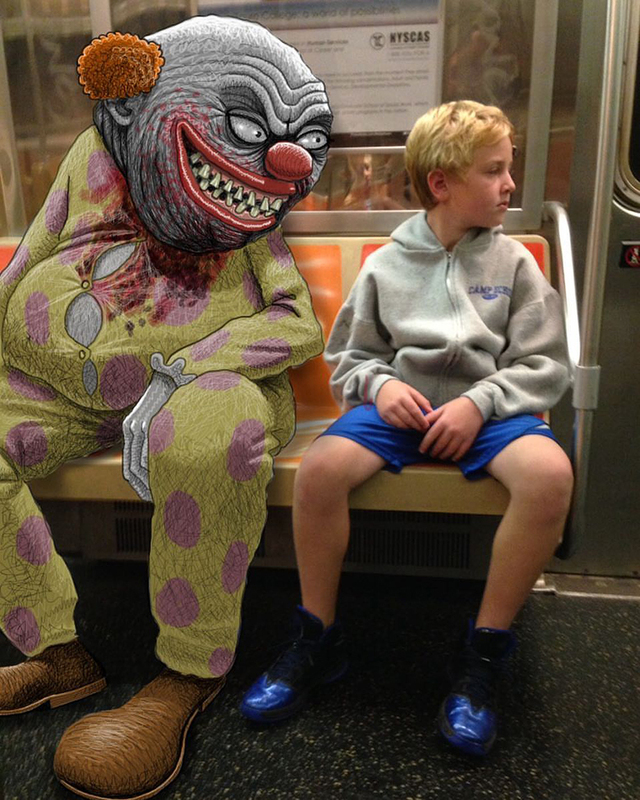 Monsters are Appearing in New York City; And Everyone is wondering why. 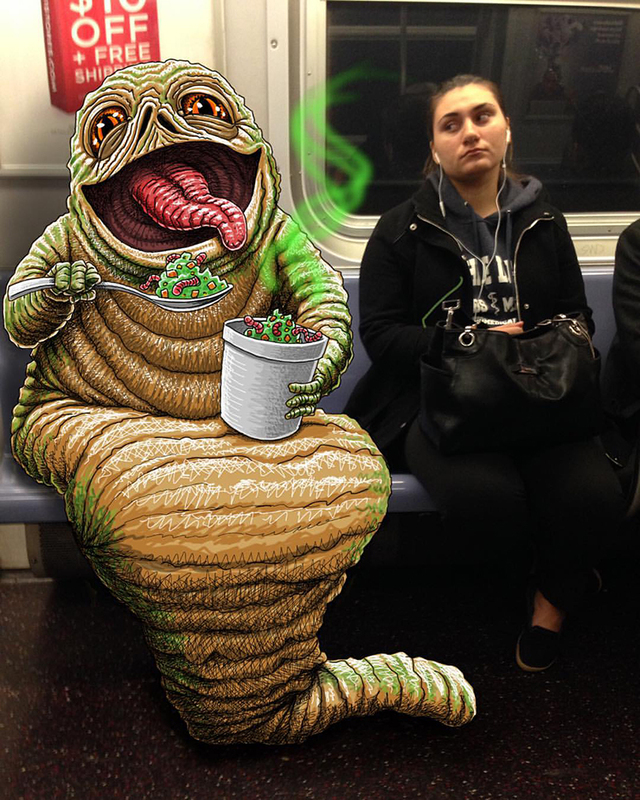 Monsters are appear in and around the subway in new York city to help New Yorkers deal with the ever rising stresses of their daily commutes. 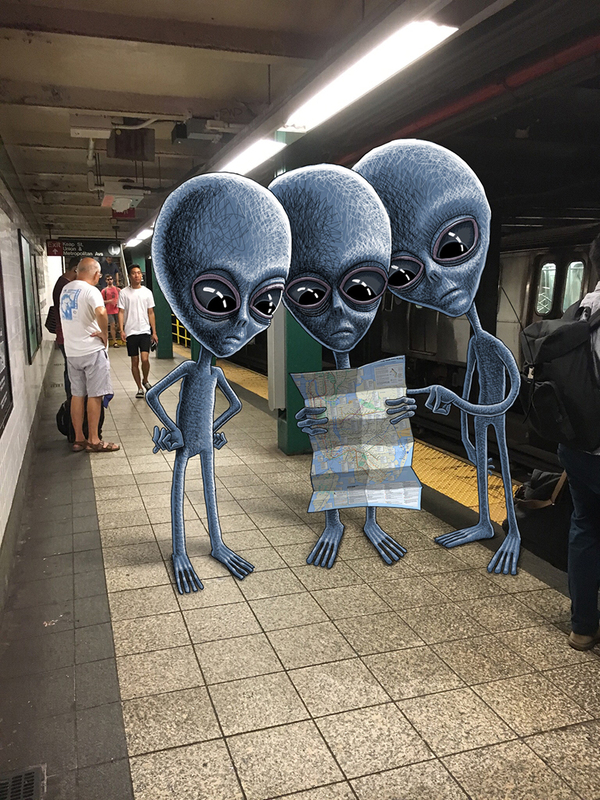 Its no news how tough the New York subway is, the trains are grossly overcrowded, noise from both the trains and the conductors are hard to enjoy and the unsavoury stench of the carts is a enough reason for a weak stomach to puck. But despite the chaos, many New Yorkers take it daily; to and fro from work. And most have found ways of dealing with the nasty bits of the journey., either staring at their smart-phones, sleeping , listening to music or reading a book. 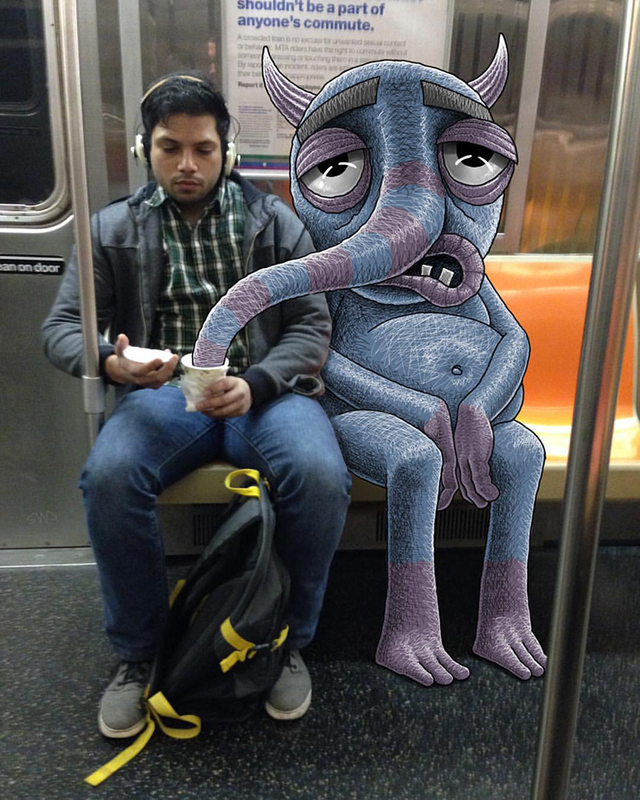 Ben captures the heart of the city with his doodle , its people , and their ways of dealing with the stress in the subways of New York . 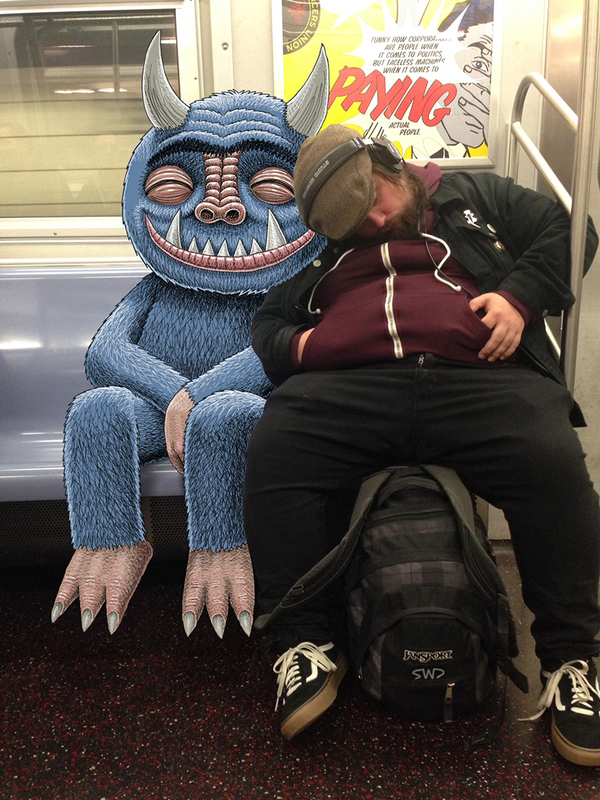 From compromising positions of sleeping with a friendly monster close by tucking in , to ride on the back of a train cart. He sketch out demons , clowns and trolls making mockery of people’s attempt at escapism. And some even dared to visit the almighty Yankee stadium. Ben draws each of the characters using just his iPad and the procreate app. 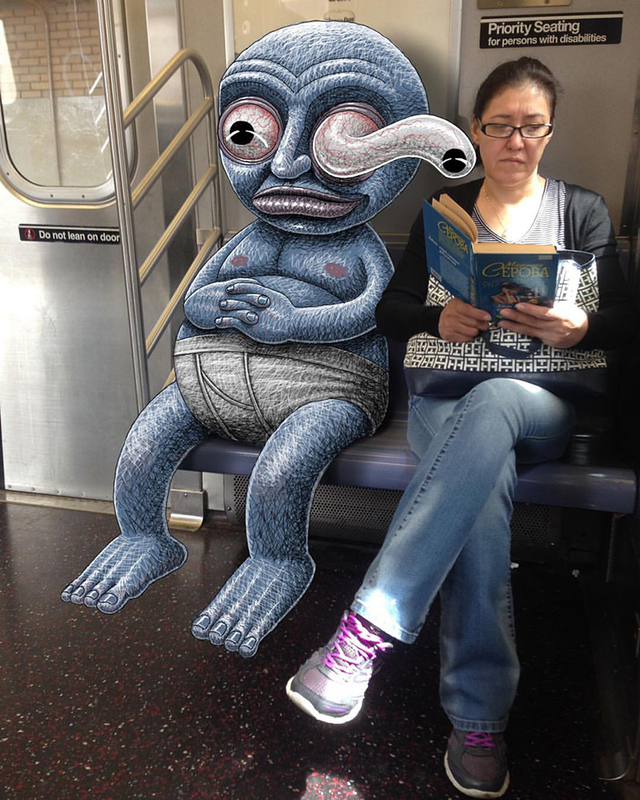 The figures are carefully pictured in various subway scenes, peeking over peoples’ shoulders as they read a book, cuddling with them as they nap, and eerily looming nearby as they innocently gaze out the window. 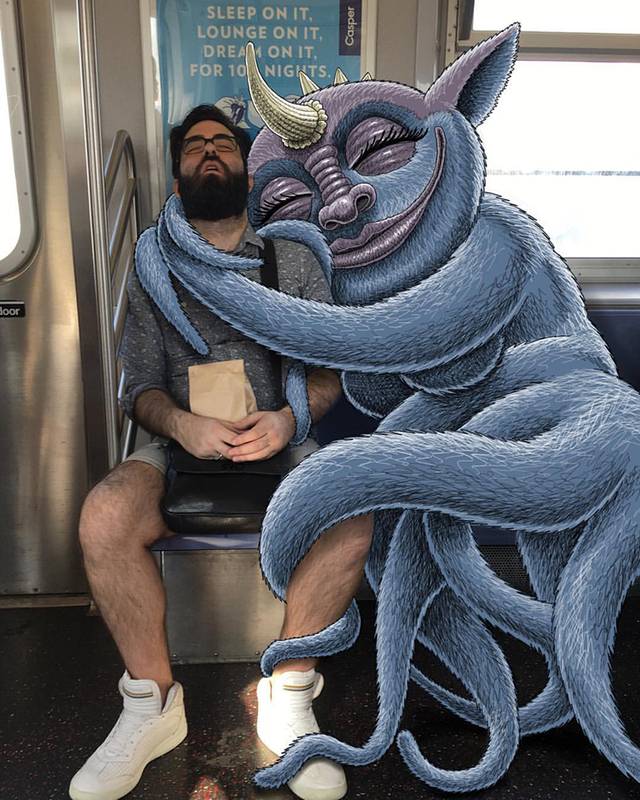 ‘subway doodle’ catalogs the time spent drawing on Ben’s daily commute, where he imagines the humorous and seamless integration of city ‘monsters’ riding the subway . Although h sells his doodle, he doesn’t offer personal commission . All the doodles are on his Mac Air 2 using Procreate, he recommends A cheap $8 stylus. 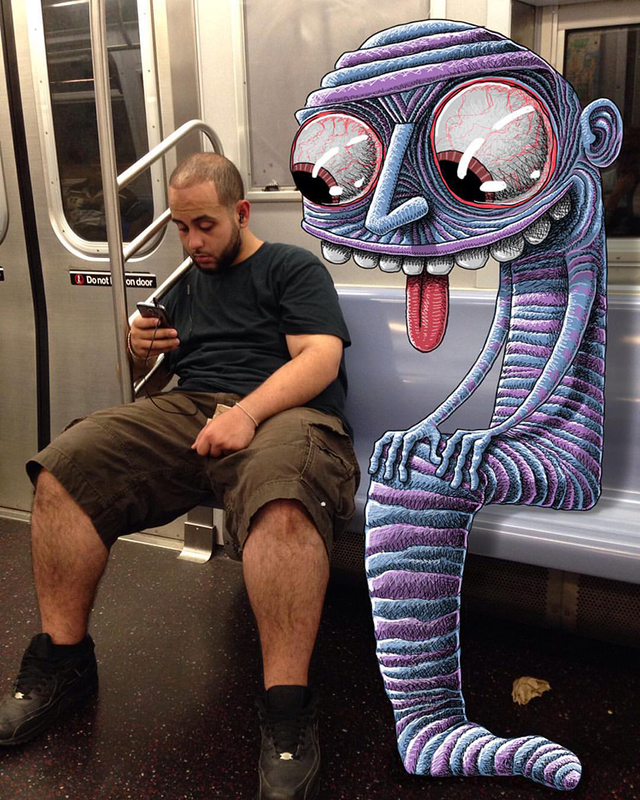 If you want to doodle like he does. Great doodle , brought the much needed laughter to the ever busy office in Melbourne. Be sure to support his work and go on his site to buy his doodles. < Colourful Breakfast Meals across the world: Which is your favourite?